If there is one word to describe what it has been like as I have transitioned to veganism that would be “evolution”. This has indeed been a journey, primarily because there is so much information out there. There is more and more research available every day that validates the benefits of following a plant based diet. A lot of which I have incorporated into my lifestyle. So, my intention is to make this transition as simple as possible for you. Scouring through all the articles and research can be daunting, so avoid that by setting your own pace. To get you started, I’m including a few of my favorite books and documentaries that have been instrumental to me on my journey. 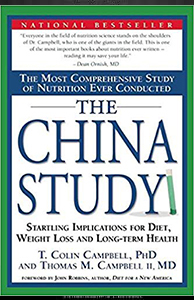 The China Study – is a book by T. Colin Campbell, Jacob Gould Schurman Professor Emeritus of Nutritional Biochemistry at Cornell University, and his son Thomas M. Campbell II, a physician. It examines the relationship between the consumption of animal products (including dairy) and a variety of chronic illnesses, such as coronary heart disease, diabetes, and cancers of the breast, prostate, and bowel. 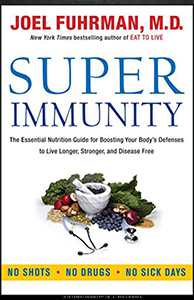 In Super Immunity, Dr. Joel Fuhrman offers a nutritional guide to help you live longer, stronger, and disease free. Dr. Fuhrman doesn’t believe the secret to staying healthy lies in medical care—rather, the solution is to change the way we eat. He provides more than 85 plant-based recipes, a two-week menu plan, and lists of super foods that boost immunity. 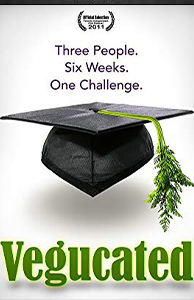 Vegucated is an award-winning documentary that follows three meat- and cheese-loving New Yorkers who agree to adopt a vegan diet for six weeks. Lured by true tales of weight lost and health regained, they begin to uncover the hidden sides of animal agriculture. 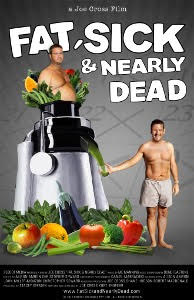 Fat, Sick, and Nearly Dead chronicles Joe’s personal mission to regain his health while traveling across US, juicer in tow, and inspiring others to do the same. 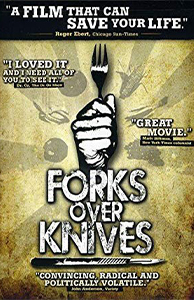 Forks Over Knives examines the profound claim that most, if not all, of the so-called “diseases of affluence” that afflict us can be controlled, or even reversed, by rejecting our present menu of animal-based and processed foods. The major storyline in the film traces the personal journeys of a pair of pioneering, yet under-appreciated researchers, Dr. T. Colin Campbell and Dr. Caldwell Esselstyn.